Is your cookware set getting old and worn out? 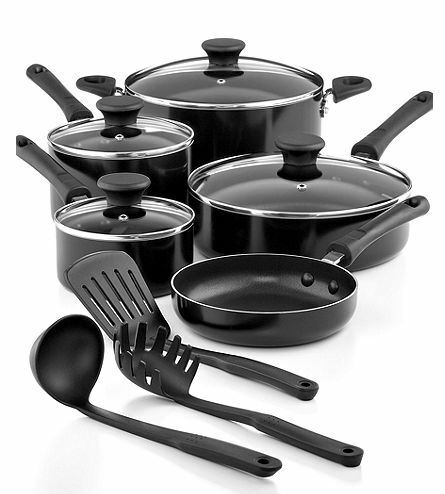 Check out this great Macy’s Deal of the Day where you can get a 12-piece Tools of the Trade nonstick cookware set for $35.99! This set includes everything you’ll need to get your kitchen moving along, including saucepans, a stockpot, and several utensils. The items are dishwasher safe and would be a great gift for a college student or someone moving away from home for the first time. You’ll also receive 10% off at checkout, lowering the price from the sale price of $39.99 to $35.99. Shipping was $9.95 for me or you can get FREE shipping with a purchase of $99 or more. Deal is good through today only.